Bus accidents are relatively uncommon, at least as compared to most other motor vehicle accidents. But the injuries sustained by victims in bus accidents also tend to be more severe than most other accidents that occur on our roadways. One reason is that buses don’t necessarily have seat belts, so passengers typically aren’t restrained by a safety device at impact. And if a bus hits a smaller motor vehicle or pedestrian, its size and weight are likely to be a big factor in terms of the injuries suffered by victims. Additional complications can arise in trying to recover compensation for injuries sustained in a Florida bus accident, as many buses are owned and operated by local government. So if you have been injured in a bus accident, you need an experienced, motivated Fort Lauderdale personal injury lawyer who can help you pursue financial compensation for your injuries. At Gonzalez & Cartwright, P.A., our lawyers are committed to protecting our clients’ rights and recovering compensation for bus accident injuries caused by the negligence or recklessness of a bus driver, bus owner or operator, or the negligence of another driver. We bring our fighting spirit to work in undertaking the often complex investigations that can be required to determine liability. We also recognize that it may be stressful for many of our clients to stand up to government agencies, so our attorneys and support staff are here to provide guidance and support every step of the way. 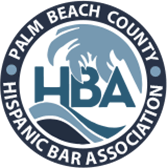 Know too that we’re one of the premier Spanish-speaking law firms in the Fort Lauderdale area, and we’ve been catering to the local Hispanic community since attorney Adriana Gonzalez co-founded the firm in 2010. In addition to fighting for the rights of accident victims, she is a past president of the Palm Beach County Hispanic Bar Association and devotes time to the Palm Beach Coalition for Immigrant Rights. Single-bus crashes: Typically, the driver loses control of the vehicle, and the bus sometimes rolls onto its side. Passengers are often seriously injured or killed in this type of crash, with the absence of seat belts often a contributing factor. Bus accidents that involve smaller motor vehicles: If an accident involves smaller vehicles, the passengers of those vehicles often sustain serious or catastrophic injuries, due in part to the size and weight of the bus. These individuals may be entitled to compensation if the bus driver’s negligence caused the accident. Pedestrian accidents: A pedestrian accident involving a bus is often a fatal accident. Many times bus vs. pedestrian accidents occur at intersections or crosswalks, when a pedestrian finds him or herself in one of a bus driver’s blind spots, typically at the front or sides of the bus. At Gonzalez & Cartwright, P.A., we focus on identifying each and every possible negligent party in a given bus accident, and we attempt to reach a fair settlement with the relevant insurance company (or insurance companies). While it can be advantageous to avoid a time-consuming, emotionally-draining trial, we are more than willing to take a case to trial to protect a client’s rights and obtain full and fair financial compensation. Costs of modifying a home because of a permanent injury or disability. Home health care costs, including the cost of in-home nurses. At Gonzalez & Cartwright, P.A., we are proud to be part of the community in which we practice law. We also pride ourselves on treating clients with compassion and respect, and we work tirelessly to protect their rights so they can focus on recovering from their injuries and the emotional trauma of an accident. Contact our office to schedule a free initial consultation to discuss the circumstances surrounding your bus accident and how we might move forward should you decide to pursue legal action or a lawsuit. If you were in a car that had an accident with a bus then you can get more information on our Fort Lauderdale car accident lawyer page. FAQ: Can I pursue legal action against a bus that is owned/operated by local government? Yes, you can still recover compensation for your injuries if you were injured in an accident involving a public bus, though different legal rules apply to public buses. As a general rule, you need to take action quickly, so if you’ve been the victim of a bus accident you should reach out to a Fort Lauderdale bus accidents lawyer as soon as possible after a crash. 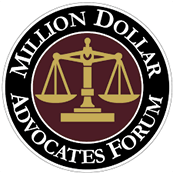 FAQ: How much financial compensation will I receive if I’ve been injured in a bus accident? It depends on the nature and severity of the injuries you sustained—and the losses you can prove. Losses don’t have to be readily quantifiable, though it is easier to prove economic damages like medical bills and lost wages. In many cases, you may also recover for emotional distress, pain and suffering, and loss of consortium, among other things.